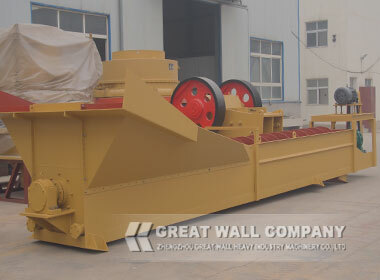 Screw Sand Washing Machine is used for sand washing, separating, and cleaning in the construction of high speed road, high speed railway, hydroelectric project, public works and so on. 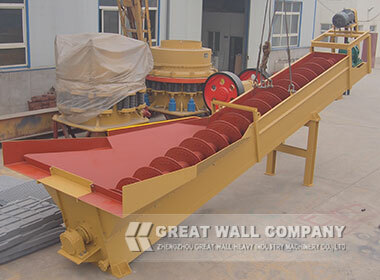 When screw sand washing machine works,Material is evenly fed in by hopper, certain amount of water is poured into the tank continuously, transmission part drives the screw shaft to rotate at certain speed to force the materials to roll in the groove and moves to the outlet. 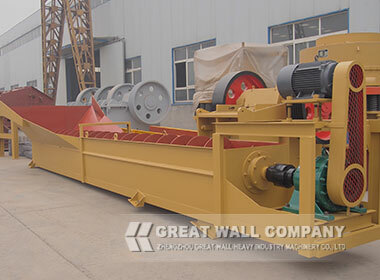 Fine materials and waste are discharged trough downflow weir together with overflow, coarse materials are discharged through outlet, so as to wash, classify , decontaminate and dehydrate the materials. 3. 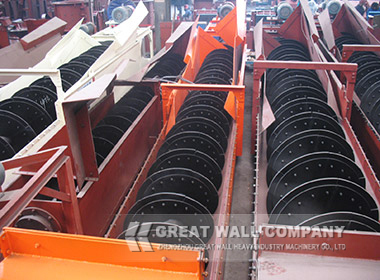 New leak proof structure can reduce the maintenance work and upkeep cost to the maximum content.